If you’ve been putting off decluttering your wardrobe, it’s time to stop procrastinating! Your closet sets the tone for the rest of your day and no one should start their morning dealing with a mess. Here are five easy questions to ask yourself while detoxing your closet once and for all. Happy spring cleaning! 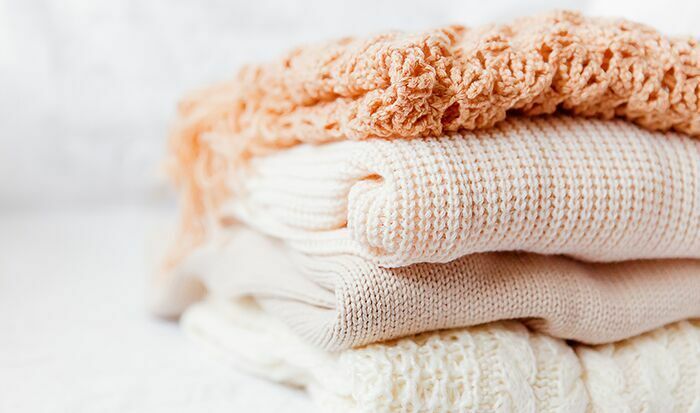 A deep clean of your closet will unearth hidden pieces that have literally fallen between the cracks. First off, does it fit? And secondly, does it fit well? Then come the tougher questions. Does the piece make you feel confident? Does it feel like your style? Does it make you feel like “you?” We hate to go “Marie Kondo” on you but there’s something to be said about discarding clothes that don’t inspire you. When did you last wear it? The one-year rule is a good one. If you haven’t worn an item in the last 12 months, perhaps it’s time to toss it out. Exceptions include vintage, sentimental pieces and investment purchases. Be smart and practical; not soppy. Here’s a helpful hint: Wedding dress? Keep. First date dress with first high school boyfriend? Toss. How else can you save space? A huge advantage of your Le Tote membership is that it allows you to manage your personal closet better. Renting is not only a sustainable fashion solution but it also reduces your ownership, equaling less hoarding and less mess during spring cleaning. Over the years, we collect things that we don’t end up wearing. That sales purchase that was too good to resist, a purchase through a convincing Instagram hashtags or peer pressure to follow trends usually end up in clothing waste. While looking at a particularly iffy item, ask yourself: Would you buy it today? If the answer is no, you know what you need to do — trash, swap or sell. If you are still confused about an item, sometimes just trying it on answers the toss or keep spring cleaning question. The key is to try it on exactly how you would wear it out — shoes, accessories, everything. If the final look does not leave you feeling inspired and if you can’t think of at least three places to wear it to, then it’s time to let it go. Have you tried the hanger trick? Step 1: Set a (realistic) cut-off date. Step 2: Turn all your hangers in one direction. Step 3: Once you wear a garment, flip the hanger around. Step 4: Once your cut-off date arrives, examine your closet. You will know exactly which clothes you have worn and which need to go. P.S. : Your Le Tote closet needs spring cleaning too. Take a moment and refresh your virtual closet. Remove old styles and add the newness spring demands. Check out our New Arrivals!